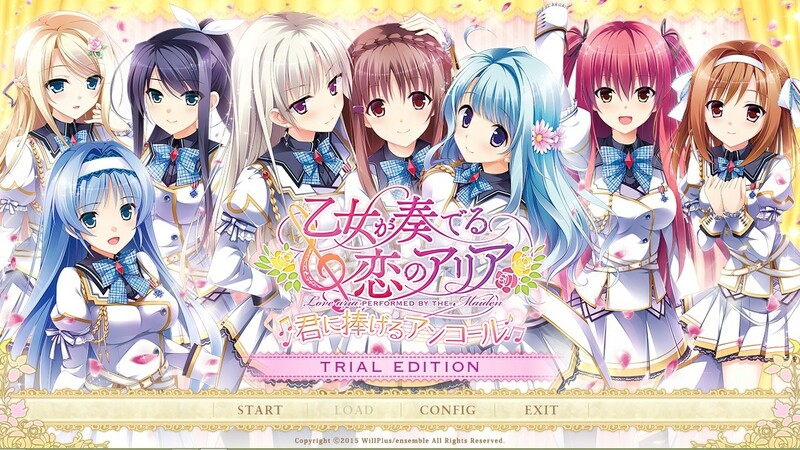 This is the fan disc for Otome ga Kanaderu Koi no Aria, featuring after stories for each of the 5 heroines and added heroine Kanade, while chara poll winner Kei will get a route as well. Two additional patches (for Mikoto and Kotori/Yuuhi) will also be available for download from their website for a month after the release. 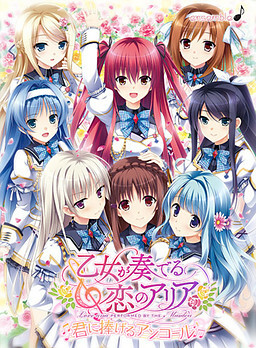 DucaOP "Omoi no Harmony", ED "Koi no Aria"